Vitamin D Infographic - Are You Getting Enough Vitamin D? Vitamin D Infographic – Do you get enough Vitamin D-3? Are you getting enough vitamin D? The vitamin D infographic below discusses the three main ways to consume vitamin D on a daily basis. Sunlight, food, and supplementation provide essential vitamin D to help protect bone, immune and heart health. Unfortunately, not all of these sources provide steady options on a yearly basis. Healthy vitamin D levels are critical to overall health. Recently, a vitamin D deficiency has been associated with multiple serious health problems. For example, poor bone health leading to brittle bones and conditions such as rickets can be related to low blood levels of vitamin D. Further, a weakened immune system can also be a result of poor vitamin D levels. Finally, vitamin D deficiency can reduce the production of insulin to properly regulate how the body deals with sugar metabolism. The most natural way to get vitamin D—through exposure to sunlight—isn’t always the most optimal. 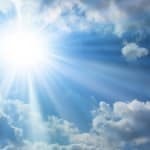 The season, time of day, where you live, age and skin color all influence the production of vitamin D. Most people are unable to produce the amount of vitamin D they need through sun exposure alone. Cooper Clinic understands the importance of vitamin D and has been testing patient vitamin D blood levels since 2007. Cooper Clinic physicians recommend a baseline daily amount of 50 mcg (2,000 IU) to maintain an optimal level of 40-60 ng/mL. 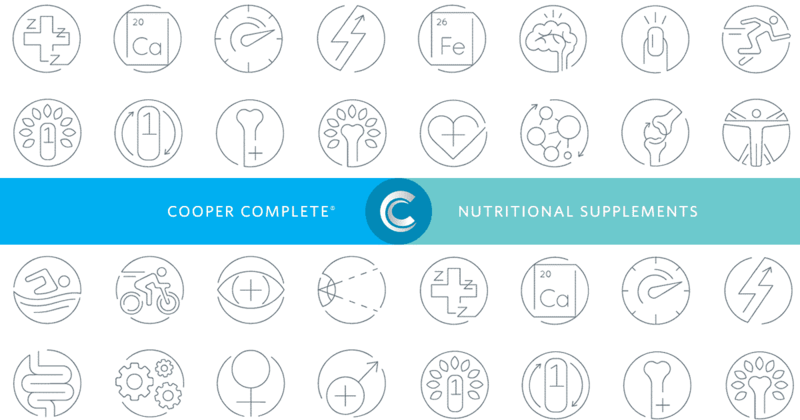 All Cooper Complete multivitamins contain the recommended 50 mcg (2,000 IU) of vitamin D3. However, it’s important to talk to your physician about which supplements are best for you. There are two forms of vitamin D supplements available — D-2 and D-3. Most studies show D-3, found in Cooper Complete products, is more easily absorbed by the body. All Cooper Complete multivitamins contain 50 mcg (2,000 IU) of vitamin D. For individuals who need higher levels of supplementation, 25 mcg (1000 IU) and125 mcg (5000 IU) vitamin D supplements are available. To find out if you are vitamin D deficient, have your physician check your blood levels. The vitamin D blood test is called 25-hydroxyvitamin D (abbreviated as 25(OH)D). The results return the Vitamin D level as the number of nanograms per milliliter reflected as ##ng/mL. National Institutes of Health Office of Dietary Supplements reports the majority of Americans have blood levels lower than 30 ng/mL. Cooper Clinic physicians like to see patient levels in the 40s and 50s. As a reminder, your physician understands your health profile best. Remember to talk to him/her about which supplements are best for you. Click here to shop the entire line of Cooper Complete supplements.